Get exciting bundles when you buy your ROG and ASUS laptops! 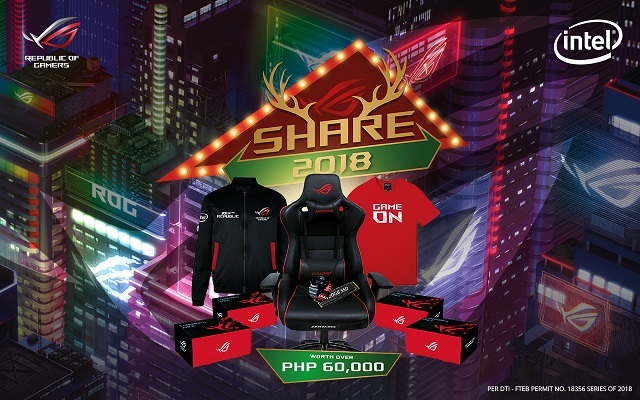 ASUS intros Share 2018 Christmas Promo for Republic of Gamers (ROG) devices and Premium Laptops. This promo bundles exciting gifts just in time for this holiday season. Share your ultimate gaming experience, unleash your gaming supremacy, and bring home ROG premium bundles worth over PHP 60,000 when you purchase select ASUS ROG or ASUS FX “TUF Gaming” Series Notebooks and Desktops in participating ROG Concept Stores and Authorized Dealers nationwide. 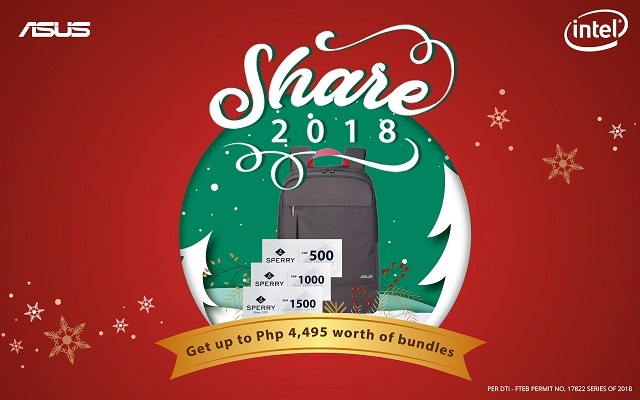 You can also join this promo by buying selected ASUS Premium Laptops from November 15 to December 31, 2018 in all participating ASUS Concept Stores and Authorized Dealers nationwide. For more information, you can visit ASUS concepts stores and ROG stores to avail this promo. Likewise, you can also check ASUS website and Facebook page.